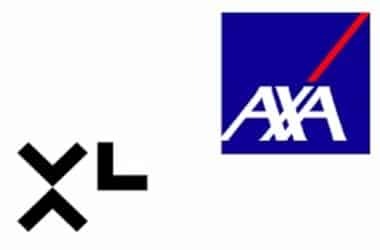 According to a press release issued by AXA XL, the insurance technology startup, Assurely has merged with the insurance giant AXA XL to come up with a new insurance product covering equity crowdfunding and Security Token Offerings (STOs). Assurely founded by David Carpentier and Ty Sagalow is an InsurTech company. AXA XL is a component of AXA, CrowdProtector. They have together come out with the latest insurance invention for issuers and investors that provides safety for the new online capital formation strategies that also includes equity crowdfunding and security token offerings (STOs). Introduction of such a platform has already attracted enormous applications to get enrolled from crowdfunding portals, the list if which is just increasing day-by-day. Until recently, the investment in private companies generally was reserved for only the high profile investors (usually defined as those whose net worth is higher than $1m or earned income that crossed $200,000 or $300,000 cumulative with the spouse’s income), thereby leaving out 92 percent of the Americans outside the scope of such opportunities. However, with the introduction of the recent regulations around equity Crowdfunding, particularly the Regulation Crowdfunding (RegCF), has equalized and opened up the investment opportunities in private companies. The press release stated, “The regulations change how companies access capital, opening it up to a wider investor pool.“ Such change builds amazing opportunities for the “Main Street” investor to generate income and also gives an opportunity to the investors to be an active stakeholder in private companies. Such prospects were previously not available to all investors. Various equity crowdfunding portals such as CryptoLaunch, Fundanna, Nvsted, Silicon Prairie, and TruCrowd have been given the go-ahead to integrate the latest CrowdProtector™ into their capital raising platforms that ensures safety to the ultimate investors. This is just the beginning and in the coming weeks, many such platforms are expected to enroll for the latest stated service.